Visit the Minnesota Historical & Cultural Heritage Grants website to view updated information for the 2014-15 biennium. The Grants Office has revised the grants guidelines, so be sure to read through the categories before completing the application. Small grants thresholds have been changed from $7,000 to $10,000. This means that the lower limit for the mid-size grants is now $10,001. The large grants remain the same--all requests over $50,000. The first small grants deadline will be Friday July 12, 2013. Since the Grants Office will be rolling out these changes to the website and portal over the coming weeks, you may wish to wait until later in June to begin your application. Questions? Contact the Grants Office; Melinda Hutchinson, 651-259-3459; or John Fulton, 651-259-3467. Minnesota Military Museum, Little Falls MN, seeks Archivist for two-year position. Email Executive Director Jeff Thielen with resume and letter of interest. Deadline: July 15, 2013. Merlin Entertainments, Sea Life Minnesota Aquarium, Bloomington MN, seeks Curator. Historical and Cultural Society of Clay County, Moorhead MN, announces that the traveling exhibit "Minnesota on the Map" is on view at the Hjemkomst Center, June 1-July 28, 2013. Call 218-299-5511 for more information. Wright County Historical Society, Buffalo MN, announces their next Coffee Chat, "Quilt Stories," Tuesday June 11, 2013, 1:30 p.m. Nancy Doering will speak on barn quilts. Call 763-682-7323 for more information. Winona County Historical Society, Winona MN, hosts storytelling workshops throughout the county. Professional storytellers Beverly Jackson Cotter and Michael Cotter will teach techniques and discuss the importance of storytelling. Free. June 11, 2013, Pickwick Mill, 1 p.m.
June 12, 2013, Lewiston Community Center, 9 a.m.
June 12, 2013, Saint Charles Public Library, 1:30 p.m. Call 507-454-2723 x0 for more information or to register. Carlton County Historical Society, Cloquet MN, celebrates the opening of their new exhibit "Dressed in White," with a program on Thursday June 13, 2013, noon. Featured speaker Jack Soetebier will discuss professional cake decorating. Call 218-879-1938 for more information. Washington County Historical Society, Stillwater MN, hosts local author Gloria VanDemmeltraadt, Sunday June 16, 2013, 2 p.m. She will discuss her new book "Memories of Lake Elmo." Contact Sean Pallas, 651-439-5956, for more information. Red River Watercolor Society and the Historical and Cultural Society of Clay County, Moorhead MN, announce the 20th Annual National Juried Watermedia Exhibition, June 17-July 28, 2013, Hjemkomst Center. Call 218-299-5511 or 218-232-4139 for more information. Denmark Township Historical Society, Washington County MN, hosts a free round table discussion about rural one-room school experiences, June 18, 2013, 7 p.m., Denmark Town Hall. Contact Wayne Boyd, 651-436-8031, or Sharon Lewandowski, 651-436-5664, for more information. Ramsey County Library-White Bear Lake hosts Gene and Kathy Johnson, who will conduct a presentation about newspapers and printing equipment, 1930s-1960s, Monday June 24, 2013, 6 p.m. Presented by White Bear Lake Area Historical Society. Call 651-407-5327 for more information. Blue Earth County Historical Society, Mankato MN, presents the Historic South Front Street Pub Crawl, Friday June 28, 2013, 6 p.m. Cost: $15/members; $20/nonmembers. Call 507-345-5566 to register. LeDuc Historic Estate, Hastings MN, will host author Rodney VanVleet, who will discuss his book "Rendezvous with Glory," Saturday June 29, 2013, 1-4 p.m. Call 651-437-7055 for more information. Stearns History Museum, St. Cloud MN, presents a series of Historic Pub Crawls, June 29, July 11, July 19, and August 9, 2013. Call Sarah, 320-253-8424, for more information, ticket pricing, and to register. Explore the hideouts and haunts of 1930s gangsters around White Bear and Bald Eagle Lakes, 2 and 3:30 p.m., Sunday June 30, 2013. Sponsored by White Bear Lake Area Historical Society and White Bear Country Inn. Cost: $20/$15 WBLAHS members. Reservations required; call 651-407-5327. State Historical Society of North Dakota presents "Good, Better, Best: Museum Standards and Best Practices," Cass County Historical Society, West Fargo ND, June 14, 2013, 1 p.m. Free. Contact Danielle Stuckle, 701-328-2794, by June 7 to register. Minnesota Association of Museums will hold its 2013 Annual Meeting, "Take This: A Collective Effort," October 6-7, 2013 in St. Joseph and Collegeville MN. Session proposals due Friday June 7, 2013. AASLH holds its 2013 Annual Meeting, "Turning Points: Ordinary People Doing Extraordinary Things," in Birmingham AL, September 18-21, 2013. 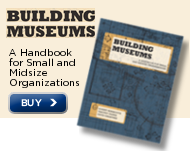 Scholarships available through the Small Museums Committee. Deadline: June 15, 2013. American Alliance of Museums announces that IMLS-funded Museum Assessment Program (MAP) grants are now available. Deadline: July 1, 2013. Saint Mary's University of Minnesota, Minneapolis MN, offers a free 1989 Alos Z40 microfilm/fiche reader/printer to a library or historical society in need. Must provide transport. Contact Rachel McGee for more information. Minnesota Historical Society announces its upcoming traveling exhibits tours. Contact Aaron Novodvorsky, 651-259-3052, for more information and to receive an application form. American Association for State and Local History encourages history organizations to participate in "Hurricane Sandy: Record, Remember, Rebuild," to help document Hurricane Sandy. Hennepin County Library, Minneapolis MN, announces that Bailey Diers has been hired as the new Special Collections librarian. She will work with the Minneapolis History Collections and Archives, along with the department's other special collections. Dakota County Historical Society, South St. Paul MN, announces a juried arts competition based on original embroidery designs from the Hastings Needle Work Company. Patterns, application, and full contest details available online. Deadline: March 31, 2014. Call 651-437-7055 for more information. Handouts from American Alliance of Museums' 2013 Annual Meeting are available online. Scott County Historical Society, Shakopee MN, announces that they are the recipient of a $500 Operation Round-Up program grant. The funds will support an upgrade to the Society's PastPerfect collections database. Call 952-445-0378 for more information. The Minnesota Goose Garden, Sandstone MN, is a new botanical sculpture garden based on Ojibwe history and created to preserve and promote education of the flora used by Ojibwe tribes for food, medicine, utility, and ceremony. The Wages of History: Emotional Labor on Public History's Front Lines, by Amy Tyson.